Tahoe Lakefront Cabins run the gamut from classic “old-Tahoe” getaways built 40 or even 50 years ago, to modern, magnificent estates on acreage, with hundreds of feet of private beach. Having grown up here, I’m still in awe each time I stand along the shore of Lake Tahoe. It’s truly a world class experience. Most of the larger acreage lakefront cabins are on the West Shore. From Tahoe City eastward along Highway 28, you’ll find the North Shore’s Tahoe Lakefront cabins that are generally closer in proximity to each other, but not lacking in any way. Private piers are common, but not present on every property. Another consideration can be the depth of the pier. Some North Shore locations can be shallow out a great distance, and annual variations in lake levels can effect useability. There are also a number of Lakefront Condo developments around Tahoe, with most of them on the North Shore. Some properties have sandy beaches, and others are rocky. But all are uniquely Tahoe, and as a lifelong local, Bret Churchman is uniquely qualified to represent your interest. 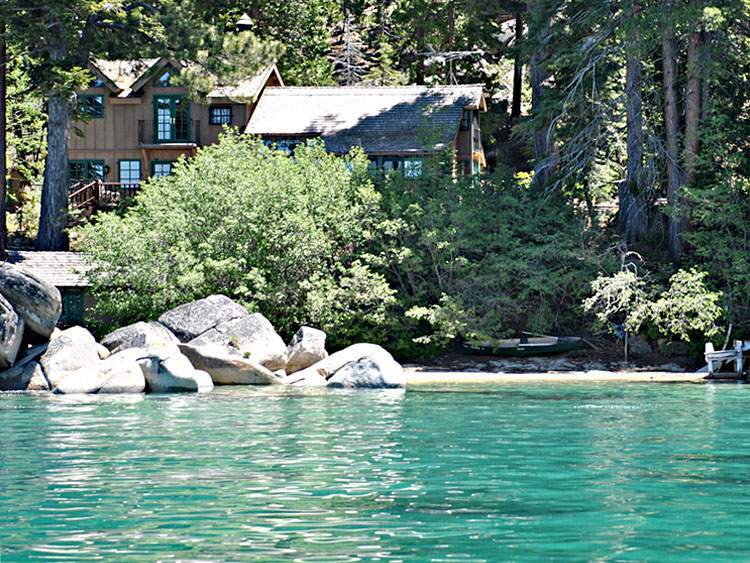 Schedule your private Tahoe Lakefront cabin tour today.